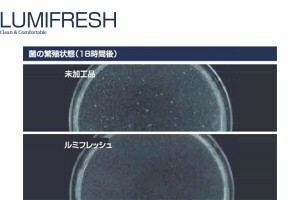 This material includes SAITOS film, which features superior moisture permeability and waterproofing. It is also a non-porous film, which makes this thin-film, double-layer material extremely compatible with stretch products. 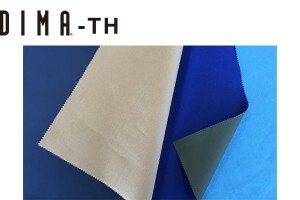 DIMA-TH is a three-layer material developed for the comfort of the wearer. It comes with various functional films, each sandwiched between the outer material and the lining by applying a special thin-film processing technology. 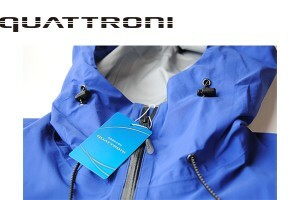 QUATTRONI is a highly permeable, waterproof three-layer fabric. 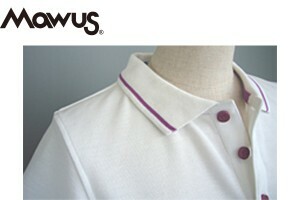 It ensures optimal comfort in four ways by being thin, lightweight and soft, and by releasing moisture. 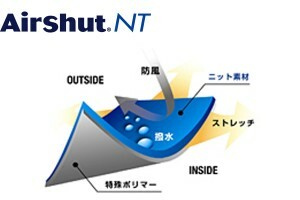 Airshut NT is a coating material that is highly water-repellent and windproof while retaining the soft, light texture of a knit material. 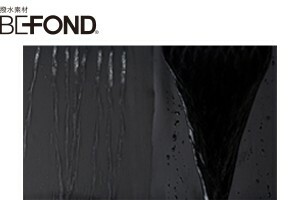 BEFOND is a multi-functional, high-durability, water-repellent fabric. It is capable of retaining a high level of water repellency even after it is rubbed and crumpled due to washing or the movements of the wearer. 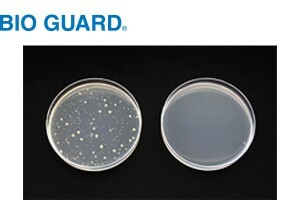 Lipguard is an outstanding stain-resistant material with ultra-high durability, which permits the removal of even stubborn stains such as hot oil stains. 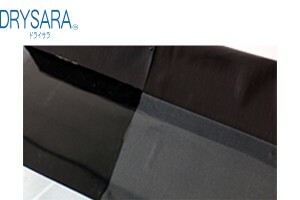 DRYSARA is a quick-drying material for swimsuits. Due to its water-repellant properties, it feels dry to wearers after they get out of the water, without making them feel cold. 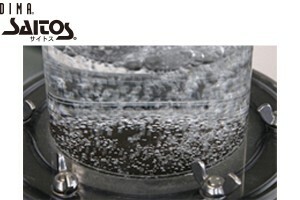 Mawus is a modified polyester material with sweat-absorbing, quick-drying, antistatic, soil-removing (SR) properties and superior washing durability. 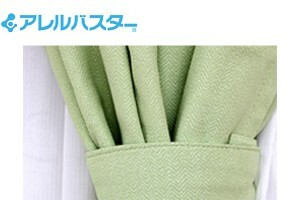 SARADORA is a comfortable material, consisting of polyester fiber covered with natural silk. This has provided it with sweat-absorbing, quick-drying, antistatic properties and the ability to absorb and release moisture. 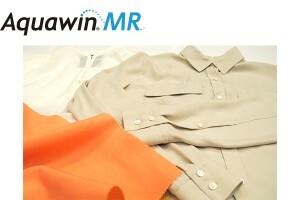 Aquawin MR is an extremely comfortable material developed by Toray Synthetic Textile Cluster. Its ability to absorb and release moisture is greater than that of cotton and hemp, and it features superior washing durability. 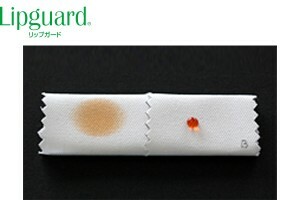 Bio Guard is a material with SEK Orange Mark and SEK Red Mark certifications, which is able to curb the growth of bacteria on fibers, such as Staphylococcus aureus and Klebsiella pneumonia. 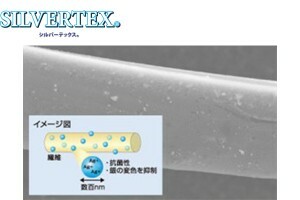 SILVERTEX is an antimicrobial deodorizing material that was developed by Toray Synthetic Textile Cluster using a silver-based antibacterial agent, with the emphasis placed on a fast-acting effect. LUMIFRESH is a clean antimicrobial material that strongly curbs the growth of bacteria on the fibers, thereby eliminating the source of the unpleasant odor of washed clothes that occurs when they are dried inside the house. TRIENT is a mosquito-repellent material that has a repellent effect against mosquitos, other annoying flying insects, fleas, and ticks. Allerbuster is a comfortable material that features the use of an anti-allergenic substance developed by SEKISUI Chemical Co., Ltd. 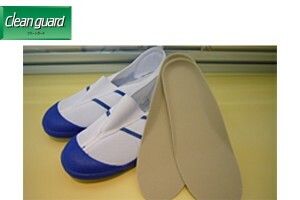 It curbs the activities of allergens. Allerbuster® is a registered trademark of SEKISUI Chemical Co., Ltd.
Clean Guard is a high-performance deodorizing material. It exhibits a superior deodorizing effect against alkaline components such as ammonia and amines, and acidic components such as acetic acid and hydrogen sulfide, which constitute objectionable odors such as the smell of sweat and foul odors. 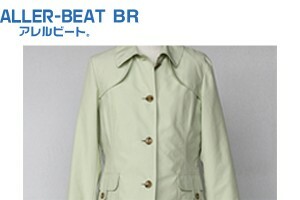 ALLER-BEAT BR is a revolutionary multifunctional material. It is not only resistant to the adhesion of pollen and house dust, as well as being water-repellent, but is also equipped with anti-allergenic functions. 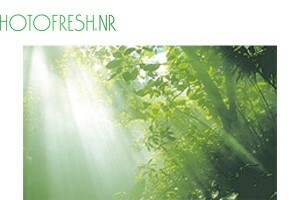 HOTOFRESH NR is a multifunctional deodorizing material. It incorporates a deodorizing function, a function for preventing odors from developing, and a function for decomposing formaldehyde, all of which are enabled with photocatalytic processing technology. 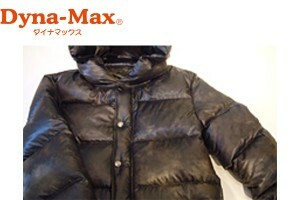 Dyna-Max is a comfortable heat-retaining material. Featuring the use of a special infrared absorber, it raises the temperature by actively absorbing infrared radiation. 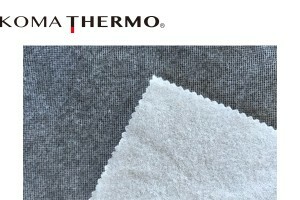 KOMA THERMO is a fiber secondary material featuring dead-air space created by raised fabric, which ensures high heat-insulating and -retaining properties despite its thinness. The material also features antistatic properties and the ability to generate heat by using the moisture it absorbs from the human body.